GENEVA, Switzerland, April 13, 2018 (ENS) – In every week of 2017 at least four people were killed defending their right to a clean and healthy environment. Many more were harassed, intimidated and forced from their lands. Roughly half of the 197 environmental defenders killed in 2017 came from indigenous and local communities. In the years between 2002 and 2013, some 908 people were killed defending the environment and land in 35 countries, even though environmental rights are enshrined in the constitutions of more than 100 countries. In January 2018 the nonprofit Global Witness, based in Washington, DC and London, documented these figures, warning that the true total is likely far higher. UN Environment is making a stand against the ongoing threats, intimidation, harassment, and murder of environmental defenders around the world, with the establishment of the new UN Environmental Rights Initiative. By helping people to better understand their rights and how to defend them, and by assisting governments to better safeguard environmental rights, the Initiative will bring environmental protection nearer to the people, the UN agency said in a statement last month. Since the 1970s, environmental rights have grown more rapidly than any other human right, and increasingly, these rights are being invoked and upheld. Courts in at least 44 nations have issued decisions enforcing the constitutional right to a healthy environment. 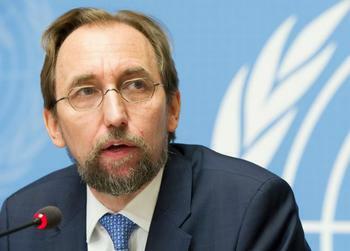 “Violations of environmental rights have a profound impact on a wide variety of human rights, including the rights to life, self-determination, food, water, health, sanitation, housing, cultural, civil and political rights,” said UN High Commissioner for Human Rights Zeid Ra’ad Al Hussein. “States have a responsibility to prevent and punish rights abuses committed by private corporations within their territory, and businesses have an obligation to avoid infringing on the human rights of othersm,” said the high commissioner who expressed the hope that the new Initiative will be able to encourage states and businesses to comply with these obligations. 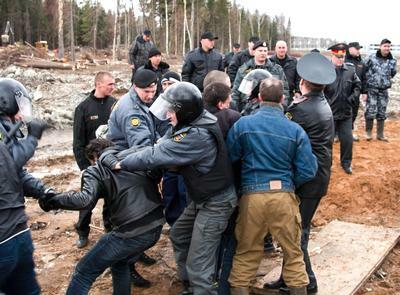 Two counter-trends are undermining both the environmental rule of law and human rights of participation and assembly. 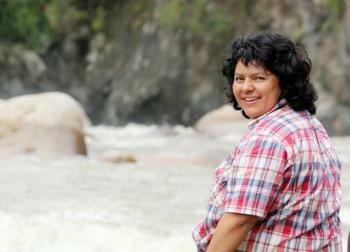 The first is the escalating harassment, intimidation, and murder of environmental defenders. The second is the attempts by some countries to limit the activities of nongovernmental organizations. Between 1993 and 2016, 48 countries enacted laws that restricted the activities of local nongovernmental organizations receiving foreign funding, and 63 countries adopted laws restricting activities of foreign NGOs. * – Announces a scaling up of partnerships with a wide range of actors from civil society, the United Nations, governments and the private sector. For almost 20 years, UN Environment, formerly the UN Environmental Programme (UNEP), has worked to identify good practices on human rights and the environment; sensitize the judiciary on constitutional environmental rights, and provide support to regional negotiations on a Principle 10 instrument for the Latin American and Caribbean region. Principle 10 sets out three fundamental rights: access to information, access to public participation and access to justice, as key pillars of sound environmental governance. It was adopted in 1992 as a part of the Rio Declaration, at the Earth Summit held in Rio de Janeiro, Brazil. Now the work to provide the legal foundation for this effort in Latin America is complete. The Latin American and Caribbean Agreement on Access to Information, Public Participation and Access to Justice in Environmental was adopted in San Jose, Costa Rica on March 4. The Environmental Rights Initiative was officially launched March 6 at the Palais des Nations in Geneva during an event that included: John Knox, UN Special Rapporteur on Human Rights and the Environment; Patrick Alley, Global Witness Co-Founder; Bianca Jagger, President and Chief Executive of the Bianca Jagger Human Rights Foundation; Jon Watts, Global Environment Editor at “The Guardian” newspaper; Kate Gilmore, UN Deputy High Commissioner for Human Rights; and Elizabeth Maruma Mrema, the UN’s leading expert on environmental law.